As my friends and I have been prone to say over the last few years: You know it’s December because Bills fans are talking about the NFL Draft. For the 2nd time in the last four seasons, the Bills won 5 of their first 7 games. They’ll also finish below .500 despite the hot start for the 2nd time in the last four seasons. 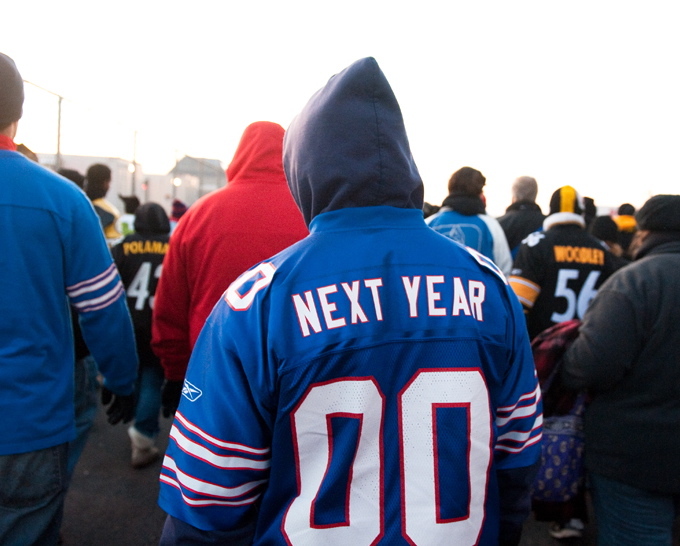 In 2008, the Bills were 5-1 for the first time in 15 seasons. They started November with a home loss to the rival Jets that sent them into a tailspin and went on to lose 8 of their last 10 games. Fast forward to 2011 and the script is nearly identical. Buffalo was 5-2 heading into November and faced the Jets at home again. Unfortunately, this season has been more of a freefall than a tailspin as the Bills haven’t won a game since October. With the remaining two games left on the schedule against division leaders, it seems more likely than not that Buffalo will end the season with 9 straight losses. It really is sickening. The Bills have been bitten by the injury bug, yet again. While the Bills have no one to blame but themselves for their collapse this season, it certainly didn’t help that they had to place 15 players (so far) on Injured Reserve. Those 15 players include three wide receivers, their best defensive lineman (Kyle Williams), their best offensive lineman (Eric Wood), and their kicker. Step one to having a better 2012 is trying to stay healthy. That is obviously easier said then done, but perhaps they should hire a new strength and conditioning coach and/or a new medical staff. It seems like the Bills always wind up with an IR list approaching 20 with several prominent players on it. This needs to end. 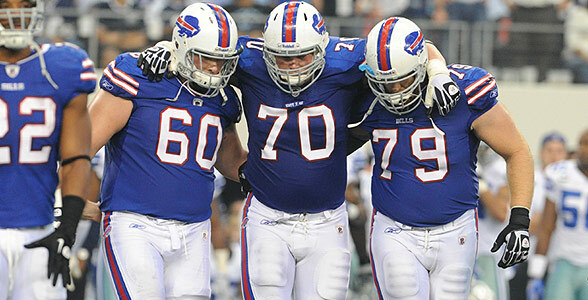 The next order of business is to address the alarming lack of depth the Bills have. Obviously, injuries happen in such a physically punishing league – they’re almost impossible to avoid. When starters go down, the Bills need players who can step in and perform adequately in their absence. Buffalo doesn’t have that right now and it’s the main reason why they’ve lost 7 straight. They have too many second stringers who would be practice squad players on good NFL teams. Hopefully their rookies can develop and they can start adding more talent in free agency than they tend to lose. Finally, the defense has to improve. Shockingly, despite all the injuries, the offensive line has protected Ryan Fitzpatrick extremely well. The Bills are tied with the Titans for the least sacks given up. In stark contrast, on the other side of the ball, the Bills are dead last in sacks on opposing QBs. The Bills need more playmakers on defense and should start by drafting the best pass rusher available next April. The secondary also needs to have a high emphasis placed on it as the Bills have given up the 3rd most passing touchdowns this season. 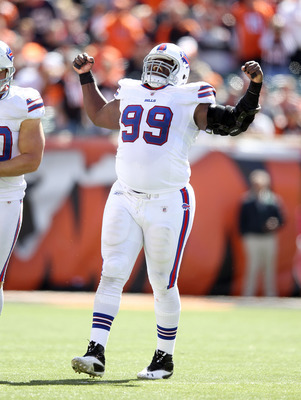 Personally, I think Buffalo needs to completely revamp it’s defensive philosophy by parting ways with coordinator George Edwards and switching back to a 4-3 scheme – you could certainly do worse than Kyle Williams and Marcell Dareus as your defensive tackles. The Bills showed flashes of becoming a playoff contender earlier in the year. A top 10 pick well spent (i.e. not a luxury RB ala Spiller and McGahee), an improved defense, and staying healthier are all key if they are going to still be in the playoff conversation come December 2012.